MAZDA 323 F IV (BG) 1.6 62kW dal 09-1989 al 06-1991 [Codice motore[=>]B61T. Informazioni sul Sistema Accensione BOSCH. ]. MAZDA 323 F IV (BG) 1.8 16V GT 94kW dal 08-1989 al 07-1994 [Codice motore[=>]BP -- Anno da[=>]04/1991 -- Anno fino a[=>]05/1994 -- Tipo carburante[=>]GNC/GPL -- Sostituire dopo km[=>]30000]. Informazioni sul Sistema Accensione BOSCH. MAZDA 323 F IV (BG) 1.6 62kW dal 09-1989 al 06-1991 [Codice motore[=>]B6E]. MAZDA[=>]BP0318110. MAZDA[=>]F22018110. MAZDA[=>]BP0118110. MAZDA[=>]BP0218110. MAZDA[=>]0677006270. Informazioni sul Sistema Accensione BOSCH. MAZDA 323 F IV (BG) 1.6 62kW dal 09-1989 al 06-1991 [Codice motore[=>]B6E]. MAZDA[=>]0677006270. MAZDA[=>]BP1418110. MAZDA[=>]F22018110. MAZDA[=>]BP0318110. MAZDA[=>]BP0218110. MAZDA[=>]BP0118110. Informazioni sul Sistema Accensione BOSCH. MAZDA 323 F IV (BG) 1.6 62kW dal 09-1989 al 06-1991 [Codice motore[=>]B61T. MAZDA[=>]141018110. MAZDA[=>]B60118110. Informazioni sul Sistema Accensione BOSCH. KIA[=>]KK15118110. KIA[=>]1881111051. CHEVROLET[=>]94535748. ]. NGK Zündkerze. Autoreifen & Felgen(109). Wir helfen Ihnen Gerne weiter. Motoren & Motorenteile(309). Antriebsteile & Getriebe(496). Karosserieteile(470). Unser Service für sie Die hier angezeigten Daten insbesondere die gesamte Datenbank dürfen nicht kopiert werden. Part_number FR7DII33X / 9607. Manufacturer Part Number 0242236596. Part_NumberFR7DII33X / 9607. part_numberFR7DII33X / 9607. Desbloquear el rendimiento en su motor con Bosch doble iridio bujías. Bujías Bosch. 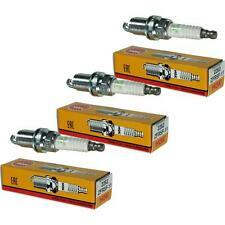 Denso Spark Plug Q20PR-U / Q20PRU Replaces 067700-4460 7571576 BCPR6ES. Ignition > Spark Plugs. DENSO has been setting the standard for spark plug technology since 1959. We develop all of our ranges in-house, and manufacture them in our own QS 9000 and ISO 9000 certified factories worldwide – with ‘zero defects’ as standard. MAZDA 323 F IV (BG) 1.6 16V 65kW dal 03-1991 al 10-1994 [Anno fino a[=>]07/1994]. MAZDA[=>]BP0318110. MAZDA[=>]F22018110. MAZDA[=>]BP0118110. MAZDA[=>]BP0218110. MAZDA[=>]0677006270. Informazioni sul Sistema Accensione BOSCH. Beru Z227 / 0001330780 bujía Ultra reemplaza 004 159 26 03. Part_Number Z227 / 0001330780. part_numberZ227 / 0001330780. Manufacturer Part Number Z227. BERU bujías Ultra. Esto garantiza una calidad de alto nivel e innovadora tecnología.